This evening, I’m meeting with a group of amazing women who work in various realms of the sustainable food movement. We meet for monthly potlucks, and needless to say, there is a serious intimidation factor as this a gathering of highly accomplished cooks. 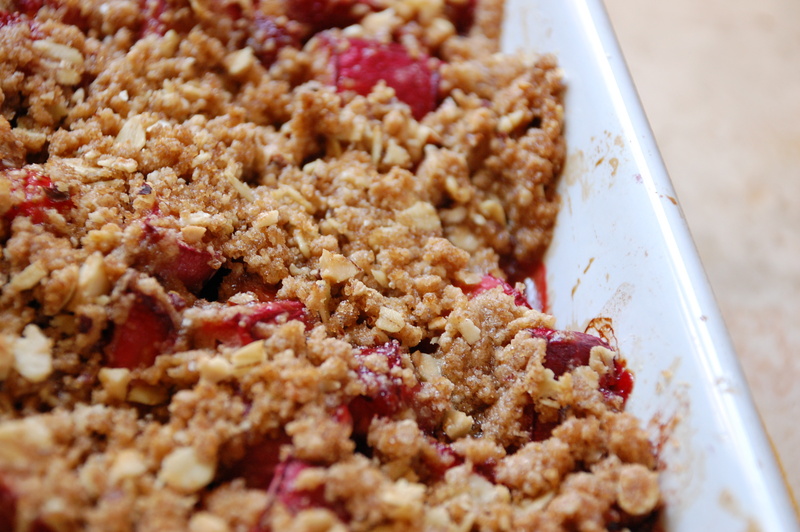 I decided to bring one of my favorite springtime desserts to share – strawberry-rhubarb crisp. 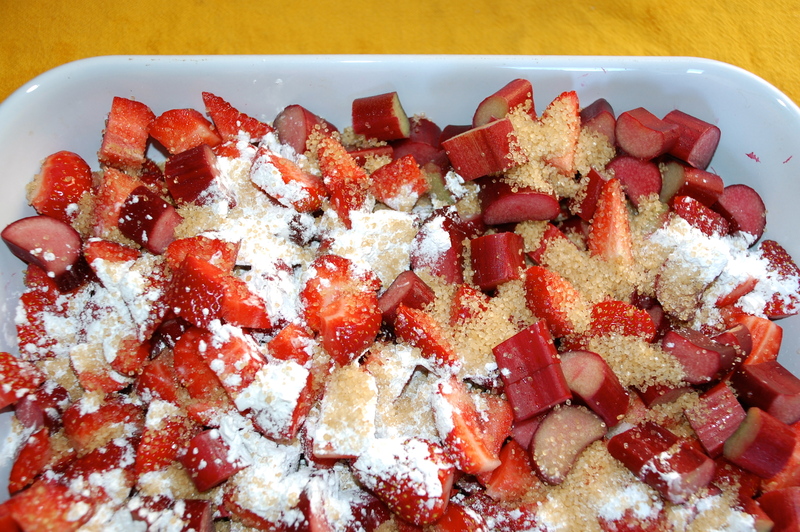 I’m generally a sucker for anything strawberry-rhubarb, and last year started experimenting with the addition of balsamic vinegar to this dynamic flavor duo. 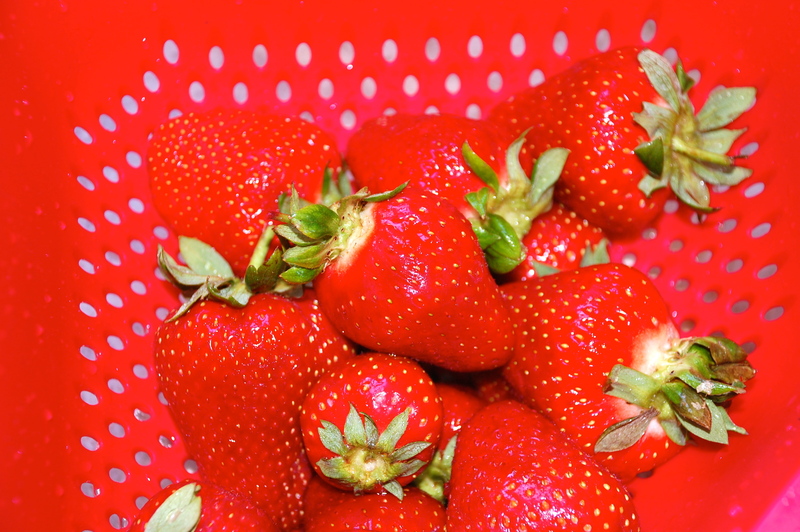 I was inspired by Bi-Rite Creamery’s fabulous balsamic strawberry ice cream; added balsamic to my strawberry-rhubarb jam (let me know in the comments if you’d like the recipe) and now, its made its way into the crisp. 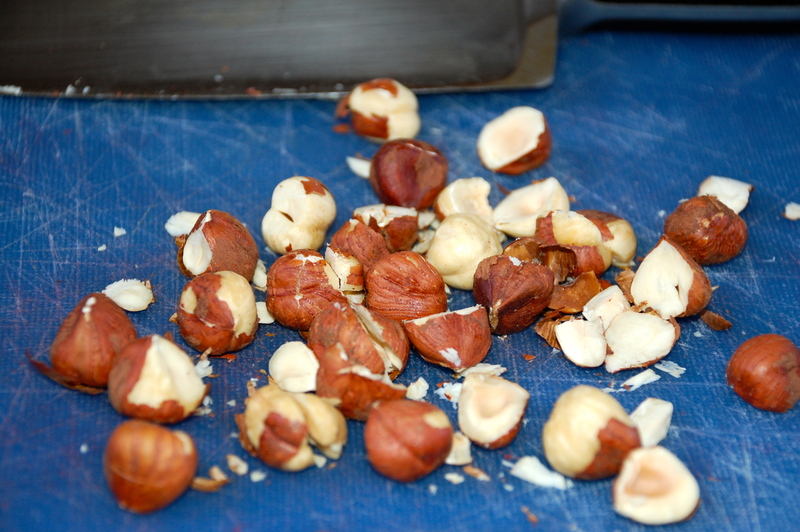 Try it at home – I bet you won’t be able to stop eating it once you start! And of course this is an easy kid favorite – a low sugar dessert with tons of flavor. Put 6 tbsp of cold butter, cut into 1/2 inch chunks, into a bowl. Add 3/4 cup brown sugar, 2/3 cup whole wheat flour, 1/4 cup rolled oats, 1/4 cup chopped nuts (or 1/2 cup oats only), 1/4 tsp salt, 1/2 grated nutmeg and 1 teaspoon of cinnamon if you like (I opted out for this crisp.) Using your fingers or the paddle attachment on a stand-up mixer, work the butter with the rest of the ingredients so that each piece is coated and a coarse mixture forms (you shouldn’t see chunks of butter, about 2-3 minutes). This makes enough for one 8×10 or so crisp. 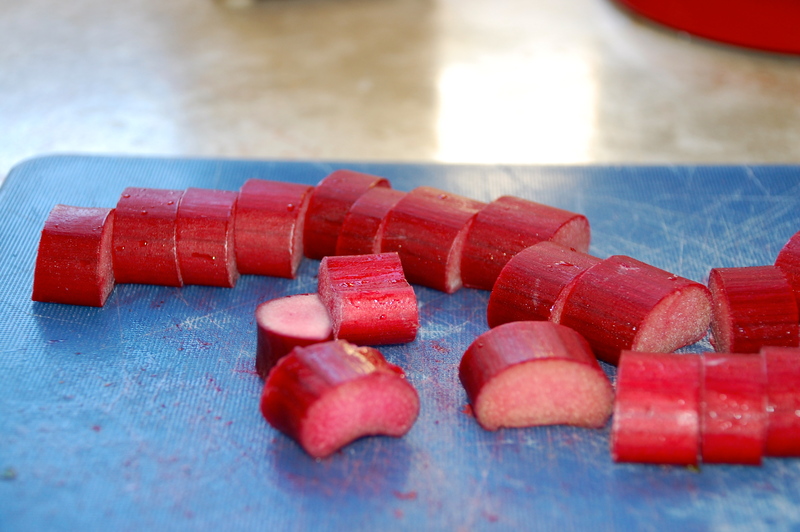 I usually double the recipe and freeze the extras – crisp topping is great to have on hand. Be sure all ingredients are well mixed and distributed throughout the baking dish. Top with crisp topping and bake for about 50 minutes. I am waiting until the party to taste how it came out but it is extremely tempting to sneak a bite now! Good luck – and let me know how it comes out!